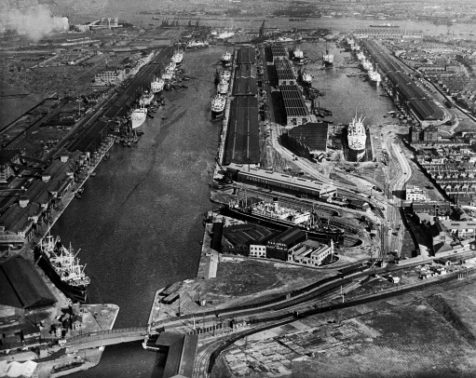 The 87-acre Royal Albert Dock was opened by the Duke and Duchess of Connaught on June 24 1880. It was the largest purpose built dock in Britain at the time. According to historical documents unearthed by the Port Cities website over 3000 men worked on the project using 70 steam cranes. The dock was 1.75 miles (2.8 kilometres) long and nine metres deep. Despite the enormity of the project, it was one of the cheapest docks constructed in London, a snip at £2.2million. The Royal Albert Dock was also notable for being the first dock in London to be lit by electricity.